If all goes well, New Horizons will zip by Ultima Thule on New Year’s Day at 12:33 a.m. EST (0533 GMT) at a whopping 39,000 mph (62,764 km/h). At its closest point, New Horizons will be 2,200 miles (3,540 km) from Ultima Thule. That’s about the distance between Los Angeles and Washington, D.C., with Ultima Thule appearing about as large to New Horizons as the full moon does to observers on Earth, Stern said. The stakes are high. It takes 6 hours and 8 minutes for a signal to reach Earth from New Horizons. A roundtrip for a signal is just over half a day: 12 hours and 15 minutes. So New Horizons will have to work on its own during the actual rendezvous, just as it did at Pluto. If a planet-hunting spacecraft sounds familiar, it’s likely because of the rich diversity of worlds found so far by NASA’s venerable Kepler space probe. Since 2009, Kepler has been harvesting planets from the cosmos, spying the footprints of these alien worlds in distant starlight. Kepler alone can claim more than 2,600 discoveries, some of which could be rocky planets quite similar to Earth. 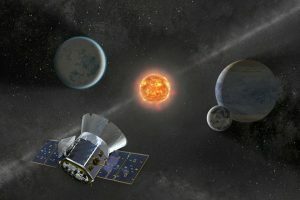 Launched last week, TESS will scan 200,000 close and bright stars, seeking new planets and possibly livable worlds. Here’s a roundtable discussion with 2 scientists on the TESS mission. NASA has announced that it has awarded funding to a combined team of researchers from the University of Alabama and an unnamed team in Japan for development of a new kind of Mars explorer. The project team has been awarded $125,000 to develop what NASA calls Marsbees: a swarm of robot bees that could fly in the thin Martian atmosphere and deliver information from their sensors. New NASA plan for Mars is moderately-terrifying-sounding, also, completely-awesome: Robotic. Bees. 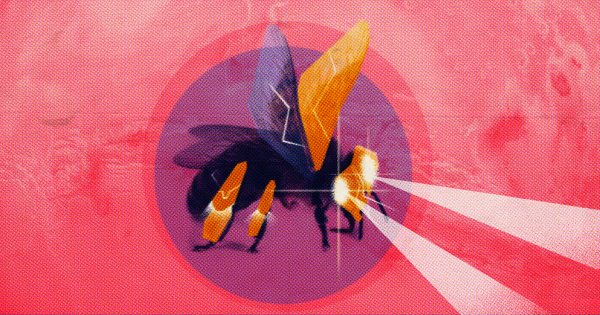 Marsbees would be a swarm of “bumblebee size” flapping robots that could cover a far greater distance (with a lot less effort) than a rover could. But that doesn’t mean a rover would be left out: a rover would serve as a recharge station and main communications hub for the bees. Because pollution is everywhere, this is the NASA Guide To Air-Filtering Houseplants.